Bell Curve | What is Quality Score and how do you check your QS? Monitoring your Quality Score regularly can improve your ad positioning and performance. Quality Score (QS) is a Google Ads/AdWords term for Google’s internal rating of the quality and relevance of your keywords, ads, and landing pages, and their similarity to each other. Put neatly: it’s how well your ad and your website answer the search term someone typed into Google. Say, for example, you’re targeting the keyword women's hats with a bid of $2. That doesn’t mean you’ll pay $2 for the click. You could only pay $0.76. Why? Because your next highest competitor could have a lower bid, and their Quality Score could be lower. So Google would only make you pay as much as you absolutely needed to. When someone searches a term you’re targeting, Google will calculate your and all your competitors' "Quality Scores” for that term. 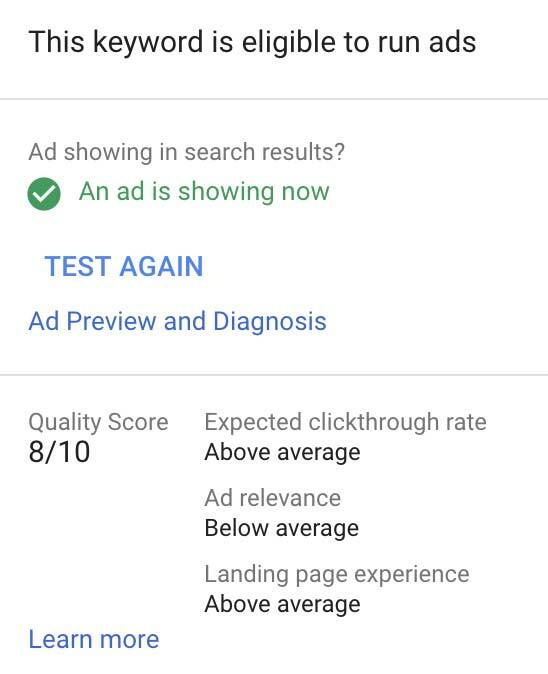 Google will use these scores along with your bids to determine where to display each of your ads (relative to each other) and how much you’ll each pay for a click. In short, your Quality Score and bid determine whether you’ll be first in results or on the second page, and whether you’ll pay $2.15 per click or $0.50 per click. Fundamentally, Google cares about showing the best result for the user’s search term, as quickly as possible. If more people click on your ad versus competitor ads, it’s a sign to Google that your ad better answers that question. Repeating the exact keywords isn’t always necessary since Google uses language processing to figure out the sentiment behind the text. But including the keyword can help. Have all these metrics above been good for a while, or just recently? Accounts with a good and long history of good metrics will have higher Quality Scores. What makes up your Quality Score. 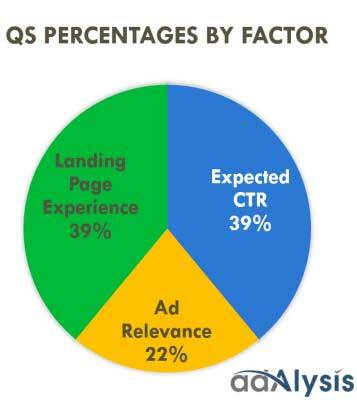 As you can see, increasing CTR (by making the ad more enticing and relevant to the user’s search query) and improving your landing page have the largest impact on Quality Score. Your Quality Score is shown at a keyword level and is a little bit buried. Our Quality Score for this keyword is 8/10: Great but room for improvement. Our ad is eligible to show: Because the Quality Score is high enough and ads aren't being blocked for some other reason (such as payment issues). Our expected clickthrough rate is higher than competitors: This means our ad copy, or our brand, must be more enticing than our competitors. Our ad relevance is below that of competitors: This may mean our ad copy doesn’t relate as closely to this keyword as competitors' copy. Or the keywords in our ad group may be too diverse and not tightly grouped. Or perhaps the keyword is too broad. This can be improved with more specific match types like Exact or Phrase match. Our landing page experience is better than competitors', potentially because it: Relates to the search query and ad copy. Or it explains our product before asking visitors to fill out forms (don’t put a form at the very top of the landing page). It could be because our landing page is optimized for both desktop and mobile users or loads quickly. Or, finally, it could be because the landing page has good performance metrics for bounce rate, time on site, conversions, and people completing their search on our site. You’ll want to check the Quality Score of all your keywords on a periodic basis and strive to improve all those with low scores. The goal is to get them as high as possible. You’ll never hit 10/10 for all your keywords. Your competitors have valid products too, and they probably market themselves towards specific keywords that are different than your own. You can’t win them all. But you can steal a lot of traffic from your competitors by shooting for high Quality Scores at all times. The specific changes you need to make depend on what you’re ranking “Below average” on. Even still, you’re left guessing a little bit because there is a mix of factors that aren’t explained. The key is to make fixes and check in later to see if your ads have improved. Now that you know what Quality Score is, why it’s important, and how to check and improve it, we suggest monitoring your Quality Score over time and enacting tests to try and improve them. 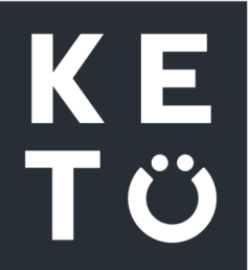 Build it into your optimization routine. Focusing on improving your Quality Score, will lead to more impressions, better ad positions, and cheaper clicks and conversions. Partner at Bell Curve. In charge of tech, tracking, and Google Ads.